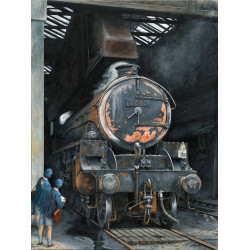 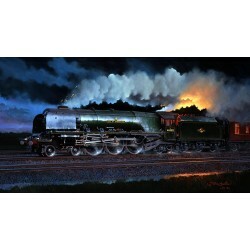 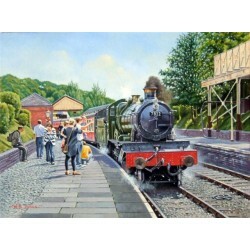 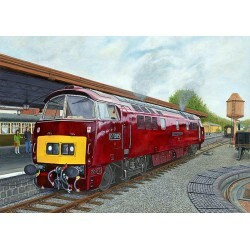 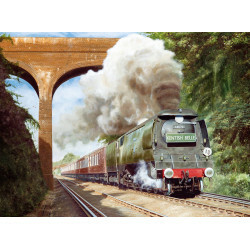 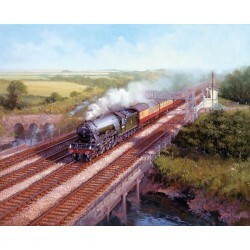 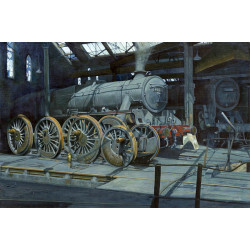 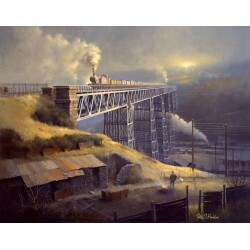 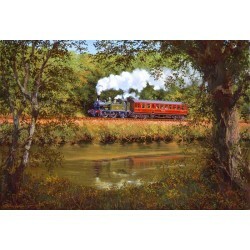 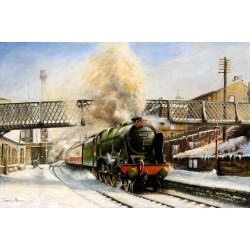 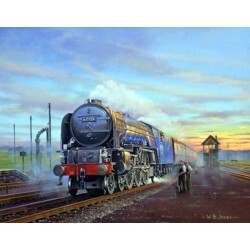 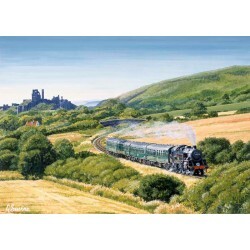 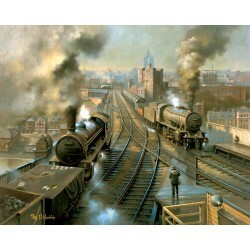 British Railways post 1948 steam locomotive portraits and BR steam and diesel locomotives in the landscape. 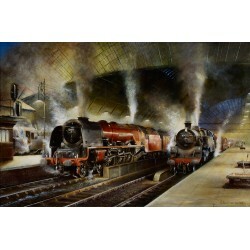 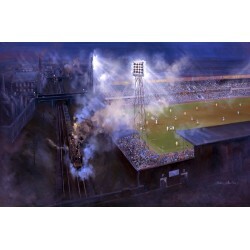 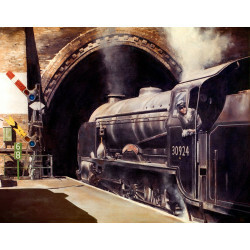 Fine art print by Rob Rowland GRA.LMS Stanier Duchess class No.46255 City of Hereford at Carlisle Ci..
Fine art print by Christine Pulham. 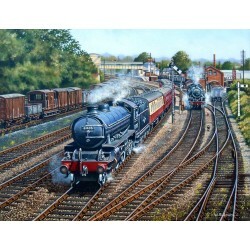 Black Five 44824 and Britannia class No.70001 Lord Hurcomb..
L.M.S. 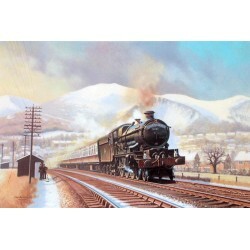 Stanier Duchess No. 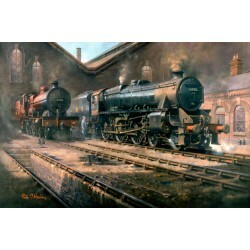 46251 City of Nottingham is ready to depart after B.R. 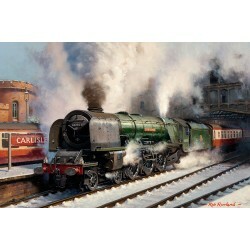 Standard class 4 t..
Bulleid Battle of Britain class locomotive No. 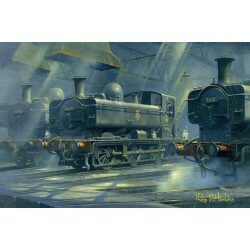 34070 'Manston' is seen climbing towards Sole Street ..
A view of the former LNER Thompson B1 Harry Hinchcliffe looking rather neglected at Wakefield Shed i..
A British Railways 2-6-4 class 4 tank loco No. 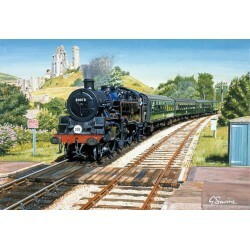 80078 enters Corfe Castle station on the Swanage Rail..